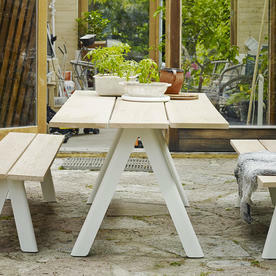 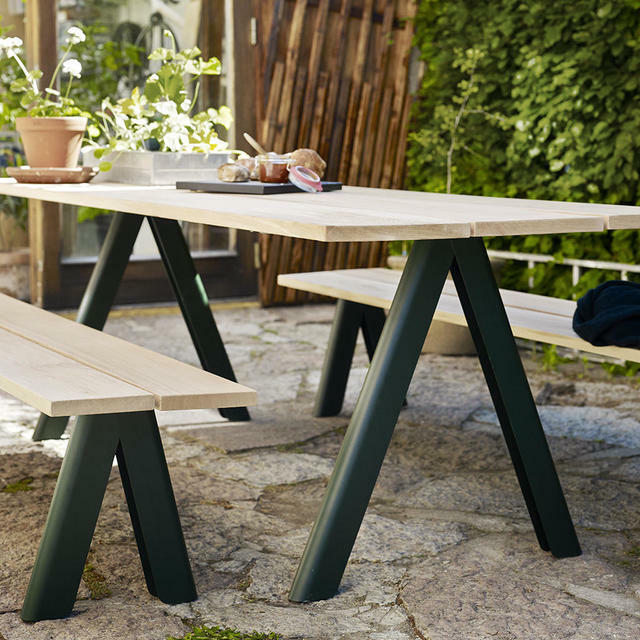 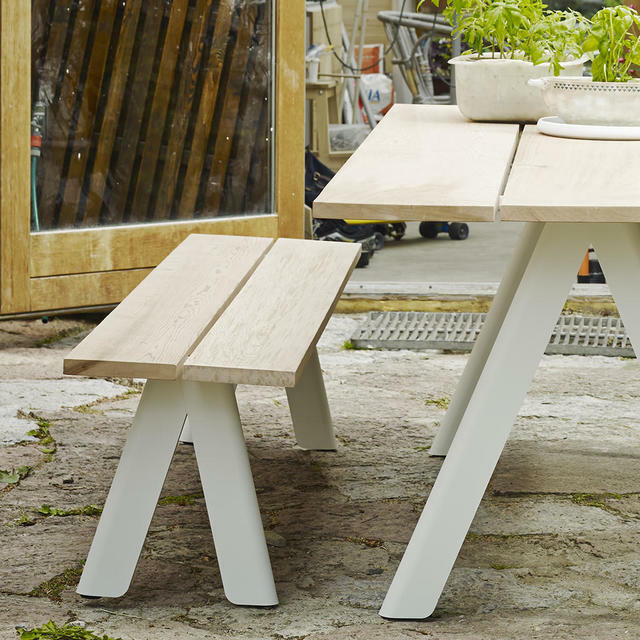 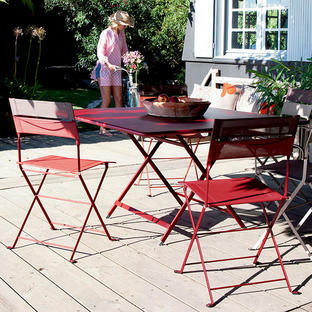 Designed in Denmark by TAF architects the Overlap dining collection is simplicity at its best. 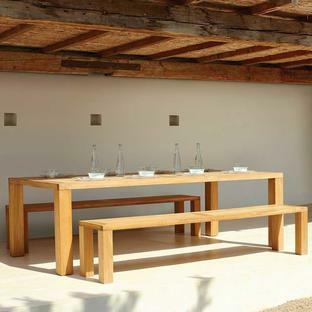 The natural table tops are made from Western Red Cedar with a powder coated steel frame. 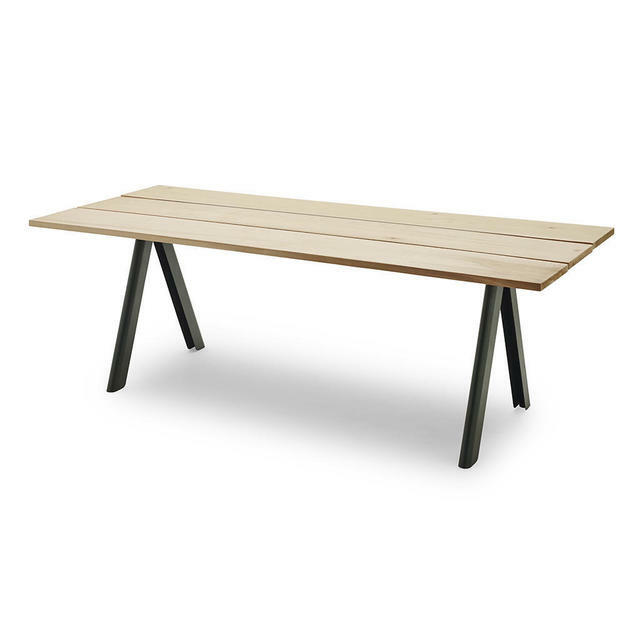 The table is generous in their proportions and has a hunter green on the frame. 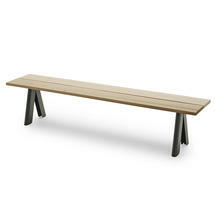 Match the tableswith simple gym styled seat bench also made in Western Red Cedar and steel frames. 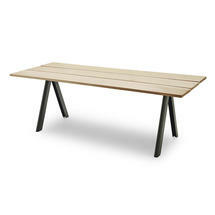 The length on the tables is 2 metres so will seat 3/4 people comfortably down each side. 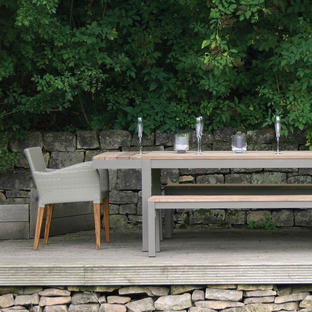 There is room for a chair to be placed at the ends of the table if you are wishing to squeeze and extra 2 people in for supper.